Charles Lord, JD is a Principal at Renew Energy Partners (RENEW), an energy efficiency and clean energy finance and development firm serving the retrofit market for commercial and industrial buildings. RENEW finances and develops the renovation of existing buildings to improve their energy performance, reduce climate emissions, provide a market-rate return to investors, and create jobs in cities. Prior to RENEW, Charles worked at C-Quest Capital (CQC), where he helped launch CQC’s Global Cook Stoves Program. CQC is a carbon finance business dedicated to developing high-quality emission reduction projects that provide superior returns for investors and energy services to low-income communities in Africa, India, and Latin America. Prior to CQC, Charles was a principal at SCRC, where he focused on sustainable infrastructure for energy, waste, and water. Charles also founded Alternatives for Community & Environment (Roxbury, MA), the largest environmental justice center in the Northeast, where he served as Co-Director until 1998 and member of the Board until 2004. 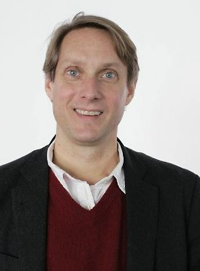 In 1998, Charles founded the Urban Ecology Institute at Boston College, and served as its Executive Director until 2008. He also taught in the Environmental Studies Program at Boston College until 2010. He has published numerous articles on environmental law, environmental justice and environmental policy. After completing law school, Charles clerked on the United States Court of Appeals for the DC Circuit. Charles is a recipient of the Echoing Green Fellowship and the Barr Foundation Fellowship, and was Editor-in-Chief of the Virginia Law Review.